Insulin is a powerful hormone that acts to reduce blood glucose concentrations. 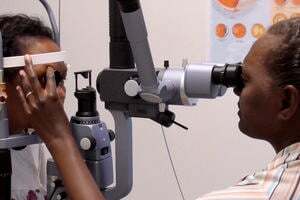 It is released from the pancreatic β cells (Islets of Langerhans) during and after eating, allowing it to work at just the right time when glucose levels are increased. Insulin acts to increase storage of carbohydrate, fats and proteins, reducing the levels of their metabolites, such as glucose, in the blood stream. It provided an evolutionary safety net for times when food was scarce, allowing the body to store away reserves when food was plenty. Figure: how does insulin act? 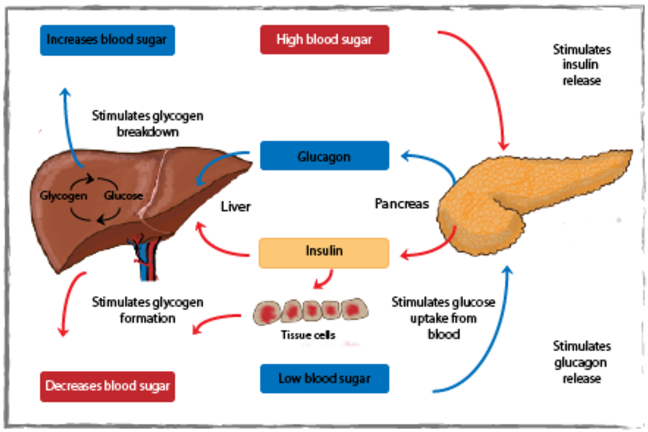 When blood glucose concentrations are high (follow the red arrows), the pancreas releases insulin which acts on the liver to stimulate glygcogen formation, reducing blood glucose concentrations. 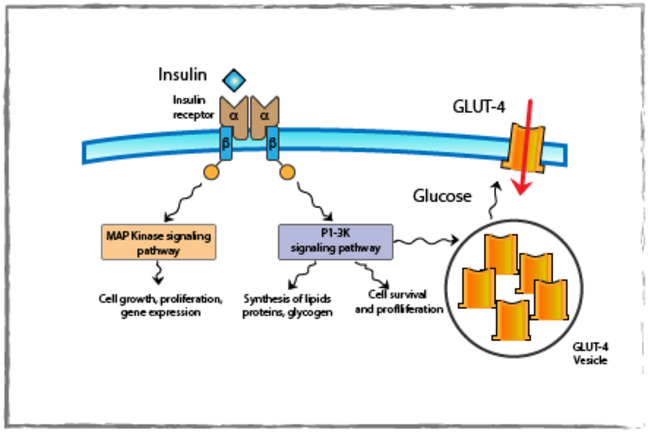 In hypoglycaemia, glucagon performs the opposite role (blue arrows). Insulin release is stimulated by high glucose concentrations. Insulin is stored inside vesicles inside the β cells and when blood glucose concentrations increase, glucose is transported into the β cell by GLUT 2, where it initiates an intracellular signalling cascade, resulting in the movement of the vesicles to the plasma membrane and release of insulin. Insulin release is biphasic, where the first peak is due to release of stored insulin and the second peak is due to release of newly synthesised insulin. 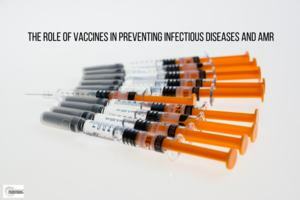 Insulin release is also increased by fatty acids, amino acids, gastrointestinal hormones (such as glucagon, gastrin, and secretin), the parasympathetic nervous system and drugs including those of the sulphonylurea class. Insulin release is inhibited by stress hormones such as somatostatin, adrenaline and nor-adrenaline and the sympathetic nervous system. Insulin enters the blood stream before binding to the insulin receptor, internalisation and degradation, mainly in the liver but also the kidneys and muscles. It has a half life of 5-6 minutes. Insulin binds to the insulin receptor on the outside of the cell. Binding causes conformational changes in the insulin receptor, resulting in signal transduction, phosphorylation events and changes in diverse activities including storage of carbohydrates, fats and proteins.